Our state-of-the-art indoor climbing wall is suited for all ages and all abilities. The climbing wall is 30 feet high and 38 feet wide. With hundreds of hand holds, named routes and 6 different ropes to choose from, you will never get bored with this wall. 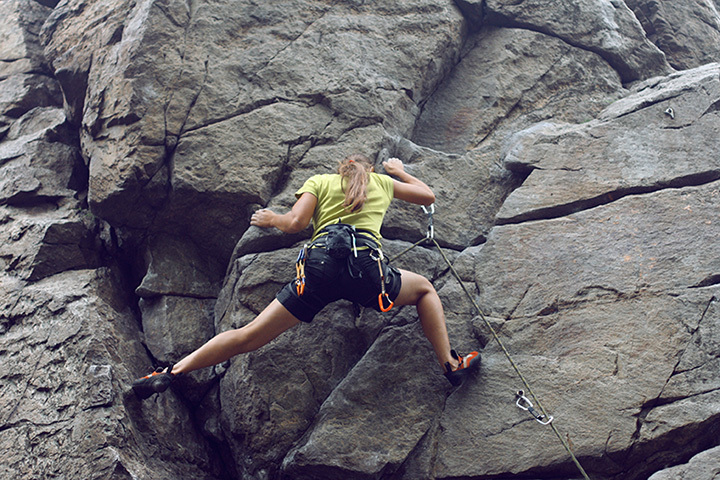 We offer beginning climbing classes for children and adults alike.